Featured commentary Richard Lamb. Photo: Anne Litz. 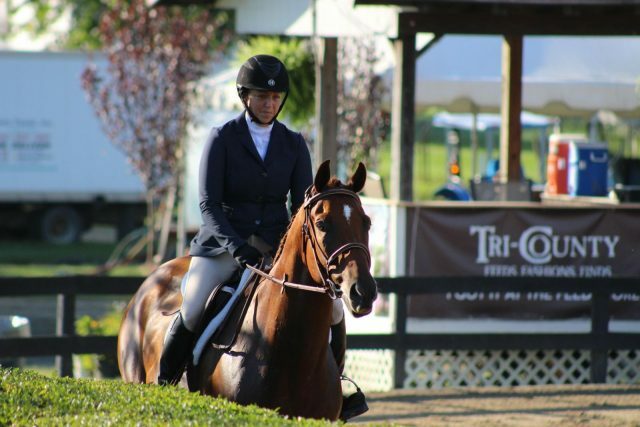 The off-track Thoroughbred, or OTTB, is experiencing a huge resurgence in popularity: more and more equestrians are rediscovering the breed’s versatility and athleticism in a variety of disciplines, and adoption groups, rehoming services and social media are making it easier than ever to bring an ex-racehorse home. But what do you look for in a sporthorse or pleasure prospect? How do you pick the right horse? And when you get your OTTB home … now what? To help answer these questions and educate a new generation of OTTB enthusiasts, whether they’re brand-new to the world of ex-racehorses or returning after many years away, the Retired Racehorse Project has added the Makeover Master Class, an interactive session of demonstrations and discussions with four leading trainers and four adoptable prospects relatively fresh off the track. 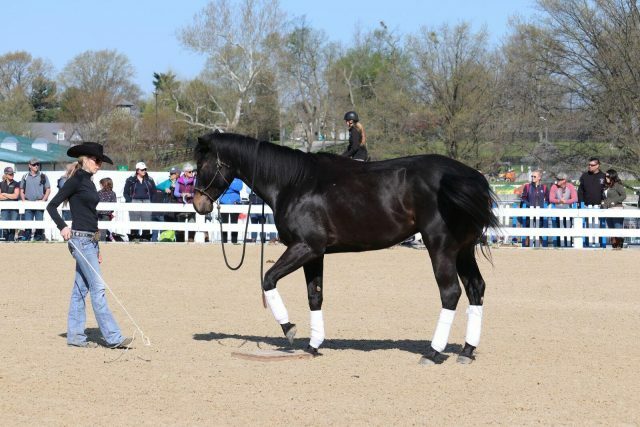 The Master Class is free to attend and will take place on Sunday, October 7 at the Thoroughbred Makeover, held at the Kentucky Horse Park in Lexington. Featured trainer Clare Mansmann. Photo: Allison Howell. The format: Representatives from each aftercare organization will introduce the horses and what they’ve learned about them, including both their track history and their program history post-track; the four featured trainers will discuss conformation and personal preferences using the four horses as examples. Each horse will be evaluated at liberty and through a jump chute, and trainers will then be assigned a horse through random draw. Trainers will then work with their horses for an hour in individual roundpens using whatever methods they feel will suit the horse best, then regroup for a summary of their observations and impressions plus what they might expect in the individual restarting process. The day will conclude with a Q&A session. Featured trainer Elizabeth James. Photo: Retired Racehorse Project. 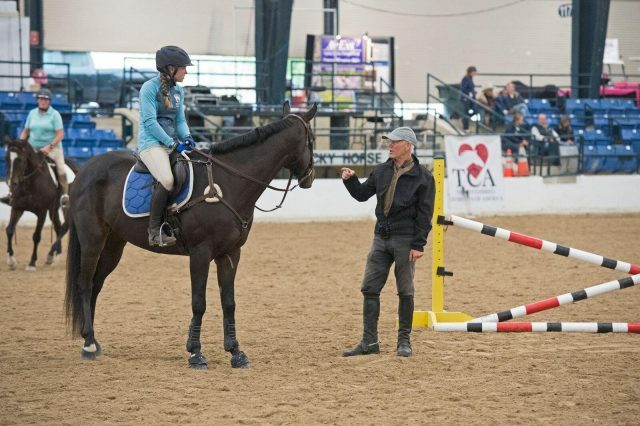 The trainers: Four trainers/trainer combinations who are not only specifically Thoroughbred Makeover veterans but longtime OTTB enthusiasts and horsemen. With four unique backgrounds and perspectives, the demonstrations and discussion are sure to provide plenty of insight! Featured trainer Tom Mansmann. Photo: Anne Litz. The commentators: To provide added insight, commentators will cycle around the trainers as they work with their horses and help narrate what’s happening in individual sessions. Featured commentator Emily Brollier Curtis. Photo: Anne Litz. The Master Class will start at 10 a.m. in the TCA Covered Arena — it’s free to attend and there will be plenty of opportunity to ask questions! 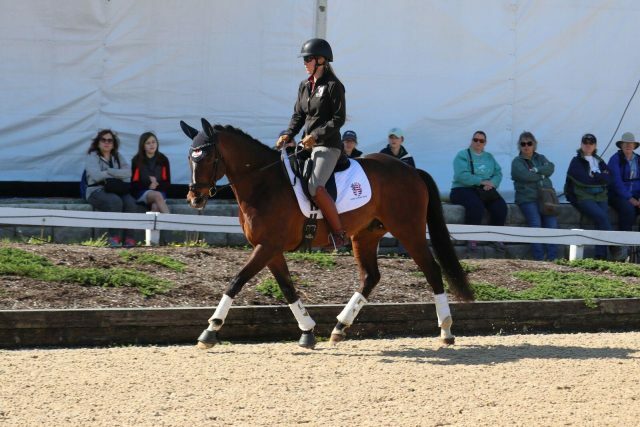 Learn more about the Retired Racehorse Project’s Thoroughbred Makeover at the event website.